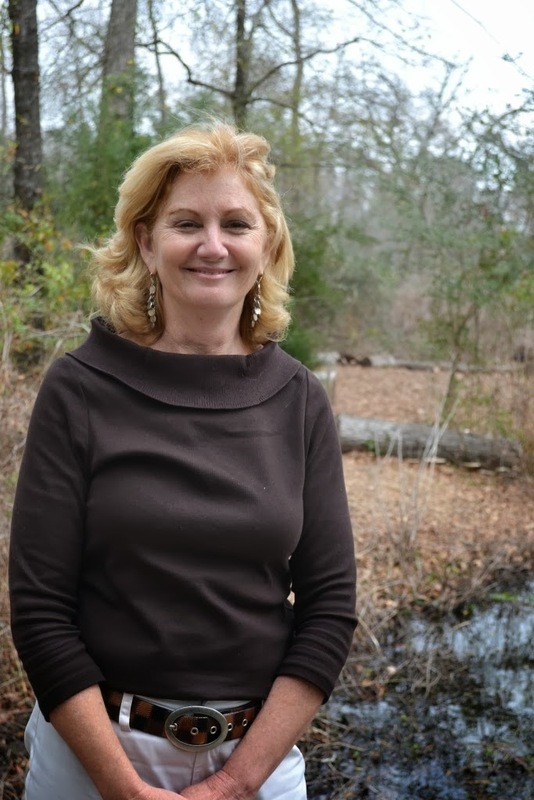 Deborah Markey became the Executive Director of the Houston Arboretum & Nature Center in 2005. She guided the 155-acre nature sanctuary within Memorial Park through the dual devastation of Hurricane Ike and the subsequent drought. She has succeeded in increasing not only the Arboretum’s financial capability, but also its impact on the Houston public through its work with both children and adults. A Houston native, she has served for many years as a community leader in The Heights area of the city where she lives. She has three children – Connor, Hunter and Madeline. Going through two major natural disasters in three years was something that I would never have expected to be dealing with nine years ago when I joined the Houston Arboretum. Hurricane Ike came along in 2008 and we know the hurricane then brought on the drought. The reason is a scientific phenomenon called El Niño and El Niña. El Niño is a period of time in the Gulf of Mexico when the water is really warm and causes a lot of precipitation to come off the Gulf across Texas. During those years, Houston’s atmosphere dumps lots of water on us and it’s very humid. When I came to the Arboretum in 2005, that's how it was. But Hurricane Ike cooled those waters and switched the oscillation patterns from El Niño to become La Niña, a very strong current which prevents any cold and wet weather coming from the north. It means if you looked at a weather pattern, you would see cold fronts stopped as if at a barrier around Texas. Generally, Houston has about 55 inches of rain a year but in 2010 it was just 11 inches and in 2011 only 12 inches. Everyone in Houston felt the drought and knew that less rain was falling than usual each year, but it wasn't until 2012 that we all realized the enormous damage that the hurricane followed by the drought had really done. Everyone joined in, even the office workers and me. I put all the guys on chainsaw duty and all the girls on brush clearing. Luckily my Conservation Director had made the decision on the Thursday to reserve a backhoe to come after the weekend, otherwise we would never have got one. So the backhoe and operator arrived on Tuesday to clamp and haul stuff for us. Of course, I could not depend on the City of Houston to help because they had so much else to do around the city, but we did have lots of people turn up to volunteer through the week, and even more on the weekends, so we found a way to do it. We piled the stuff in the parking lot – huge tree trunks and underbrush – and I had three 40-foot containers being emptied three times a day! This was of course incurring huge haulage charges and I soon discovered that the insurance would pay for none of it. The insurance covered damage to the building – of which, luckily, there was very little – but covered none of the forest. That took a long time for us to recover from. It wasn’t until that week that I ever thought of myself as a leader. I suddenly realized that people were looking at me as if to say, “What should we do?” I understood then that there is a difference between being a manager and being a leader. That was such a painful time, but it was worse to watch the forest die over the following few years. Memorial Park, of which the Arboretum is a part, is a population of trees planted 75 years ago all competing for the same water. By August 2012, when you drove through the park and looked at the tree line, you thought, “Wow, it looks like fall in the park,” but then it hit you. That was not fall, that was death. Then, of course, the wildfires at Bastrop happened. The Houston Fire Department and the Texas Forest Service called us all together to create a plan to be implemented in case of a forest fire in Memorial Park. We had to clear our driveway back a certain number of feet so that the fire department wouldn't get stuck if there was a fire in the park and we had to clear a lot of acreage. We lost five thousand trees in the drought. There was a 50% mortality rate across Memorial Park. But as one of the park’s stewards, I get to help fix the problem. It's not an overnight fix, of course, it's going to take millions of dollars and many years, but we will do it because we have to and we will use the knowledge we have now to make the park more sustainable. Last year we went through a master-planning process to raise money to restore the land, and raised about $700,000. The restoration will cover the 155-acre forest sanctuary and also all of the building work that needs to be done. For example, we only have 91 parking spaces and that's not nearly enough. We're full every weekend and have to have parking attendants to handle it. Although it does make parking harder, I am very proud of the work I have done to raise public awareness of the Arboretum in the nine years I've been here. When I first arrived, business for the Arboretum totaled $600,000, but now the total gross revenue is $2.2 million. I’ve taken a small organization with a small footprint and have grown it. We have homeschool programs and preschool programs. Our Summer Camp which was half a day for six weeks and cost $85 a week is now all day for six weeks and brings in $295 a week from each child. We have Winter Camp, Spring Break Camp and we partner with lots of different folks to add a lot of other programs too. We know many adults who want to be here, but how do you get the others to come? You serve them wine and cheese! Just recently, we had a very successful Tapas on the Trail event with 250 people in the forest in the evening with gourmet food. We also have a family event called ArBOOretum in October and that’s very popular. So though we've done a great job of encouraging people to come here, they don't necessarily see the devastation I see and they still love coming here. I’m Houston born and bred, but because I went to college at Texas A&M in College Station, I was ready to come home afterwards. But I've always thought that if I had going to UT in Austin, I probably would never have left. I love Austin. I was married for a long time and lived in the Houston Heights and when I got divorced in 2002, I moved to the Woodlands Heights, close to my children's schools. I had a website development business which was great because I could work from home so I could be there for the kids. I had a number of really great jobs including working for a management consultant who was a Harvard MBA and ten years working with her really helped me a lot. I was also very involved in the Houston Heights Association. I was on the board and in charge of many projects within the Heights including raising funds to renovate a neighborhood park called Donovan Park. Although I didn't have any paid non-profit experience, I wrote up my résumé listing all my skills and asked people I knew to let me know if any suitable jobs came up. Then one day my son came home with the book from Writers in the Schools on the front of which was his picture of a turtle. I asked him where he had seen a turtle and, he said he’d seen it at the Arboretum. Though I hadn’t been there myself for a few years, he had gone there on a field trip. Within a couple of months of that conversation, I was appointed Executive Director at the Arboretum. It was an amazing coincidence! My mom – I was the first from my family to go to college and I was a bit miserable for the first couple of years. I was not happy in my science-based course and I was struggling with my grades. I remember coming home and saying to my mom that I was going to drop out, but she wouldn’t let me. She said I was too smart and I’d worked too many years to throw it away. Instead, she arranged for me to take an aptitude test which found that I had an above-average business brain. My mom suggested that I go back to school and change course to major in Business, so I did and it was like second nature to me. It was really awesome. What advice would you give to someone new to running a non-profit? I'd say collaboration is the key to success and also being open. Houston Mayor, Anise Parker, said recently in one of her speeches that “collaboration is the new competition”. I am so lucky to be within an organization which is part of the larger Houston picture, and to be one of the leaders working to make Houston an amazing internationally-known city in which to live and work. People think of us as having cowboy boots and pick-up trucks, with horses in the backyard. They think we have no culture but it's really not like that. Houston's a very diverse city. I like to find balance. I'm an avid outdoors person and have to spend a lot of time outdoors to be happy. Exercising and keeping in shape are important to me. Also my job is super fun so it's not like I don’t look forward to coming to work. I'm good at not taking work home, so while I work a lot here and I do work on the weekends if I need to, when I go home I have my own time in my house with my wonderful dog and the one child I have left at home. Living in my neighborhood is really awesome. We have access to so many trails so I can bike up here at the weekend to check on things and then I ride back home which is a great experience for me. Balance is important, but in the greater scheme of things, we are lucky that we are living in a time where we have so much that other people in the world do not have. I'm very aware of the fact that we are in the top 1% that has this amazing quality of life that other human beings don't have. Being part of a program called Leadership Houston has really made me realize how much I love the city. Mayor Parker recently came to the graduation ceremony of and said that when she was part of the Leadership Houston program, she had no idea she was ever going to be the mayor. I have watched her throughout her career and she has done some amazing things in this city. She said that she always makes time to come back for that event because any one of us could end up as mayor too. This is such an inspiring program. Mayor Parker was a graduate from Class 12, I am in Class 30 and they are already recruiting Class 34. Also, in Houston, the spirit of philanthropy runs very deep. So many men and women who have money because they made good in this town have then given back to the city. Look at Bill White and what he achieved during his time as mayor, for example. He rallied his philanthropist friends and said, “I want to build a beautiful city park near the George R Brown Convention Center and I want to get it done before I leave office.” Few people realize how much collaborative work it took to transform a series of dusty parking lots and private spaces into Discovery Green, the most beautiful urban park space you've ever seen. Now this huge effort has moved on to transform Buffalo Bayou Park as well. In this city, there are so many people investing time, energy and money to create real quality-of-life experiences for the people who live there. I think my favorite place is Buffalo Bayou Park. I really enjoy spending time there, like this weekend when I took the trail from my house which connects to the Buffalo Bayou Trail right at Spaghetti Warehouse. It’s great to see this renovated space and everyone on their own bikes or using the bike-share program. There are skateboarders too and even groups on Segways. My favorite place is a neighborhood restaurant called The Glass Wall. It’s right down the street from my house and has fond memories for me. When the power went off thanks to Hurricane Ike, they accommodated half the neighborhood, so we have found a way to pay them back. The bar is reserved for people who live in the neighborhood and when we go in there, it's like Cheers! where everybody knows your name. They serve great local food and wine, and anywhere the bartender knows what you’ll have to drink before you even get to your table is really a great place. There are so many good places to eat in Houston, it's hard to choose another one, but it would have to be The Grove on Discovery Green. The food is fantastic and the atmosphere’s incredible. If you have the chance to sit on the porch outside overlooking all the people that are using the grassy green space, it's really lovely. I would have to say that the Arboretum is the best kept secret in the city and I would love to keep it for myself, but I do realize that's probably not the best business model for an executive director to have! I’ve met many people who say their favorite place in the whole of Houston is the meadow pond, so it’s not only me that loves it here. Mass transit – it's terrible that we don't have it. It is embarrassing that we have a city of this size and we are embracing the rubber tire model of getting around. I do realize that though lots of people are trying to stop that being the case, we're too far into it to make much change. I am disappointed that I have to take my car to work every day but even the buses are just not an option for me because the route would take me over ninety minutes each way. To find out more about the Houston Arboretum and Nature Center, click here. For further information about Leadership Houston, click here.